Stuttgart – My home, my workplace, my car: connectivity is turning cars into a third living space alongside people’s own home and their office. Bosch is showing what that actually means, and what it will be like to drive a car in the future, with its new show car. It offers intuitive operation and is always online, connected with its surroundings, and driving itself. 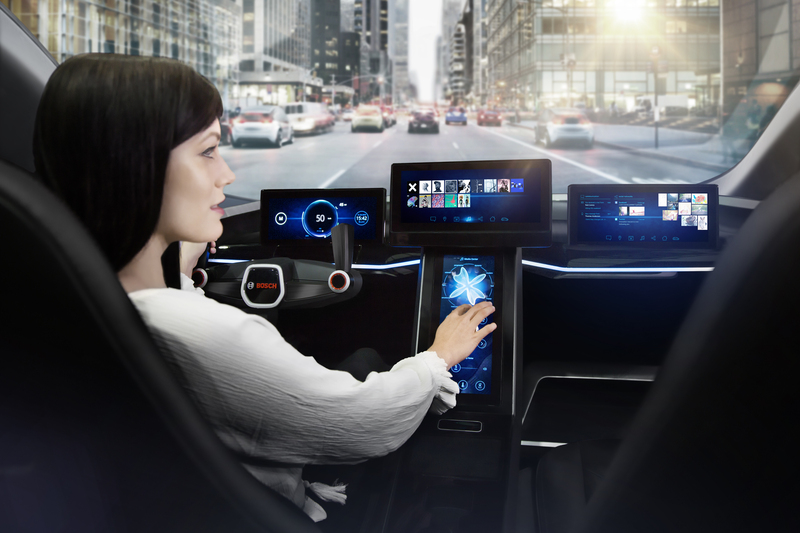 “The connectivity of cars with their surroundings and with the internet is a key challenge for future mobility,” says Dr. Dirk Hoheisel, member of the board of management of Robert Bosch GmbH. Automated and connected functions in cars not only make each journey safer and more comfortable, they also turn the car into a truly personal assistant. “In this way, we are making connectivity a personal experience and giving people more time for actual living, even while driving their car,” Hoheisel says. More individuality and easier operation become apparent as soon as you get into the show car. The driver monitor camera recognizes the driver and adjusts the steering wheel, mirror, and temperature accordingly. In fact, as if by magic, the car also sets the colour scheme of the display and automatically loads appointments, favourite music, the latest podcasts, and the navigation destination that the driver programmed while still at the kitchen table. The camera is always alert during driving, too, especially when the driver’s eyes get a little heavy. It detects fatigue and microsleep at the wheel, both of which are often the cause of serious accidents. It is usually possible to spot the onset of these early on from movements of the eyelids. The system determines the driver’s ability to concentrate, or degree of tiredness, and issues a warning if necessary. This makes driving even safer. What is more, the driver tiredness detection system constantly monitors the driver’s steering behaviour so it can intervene directly in the event of abrupt movements. 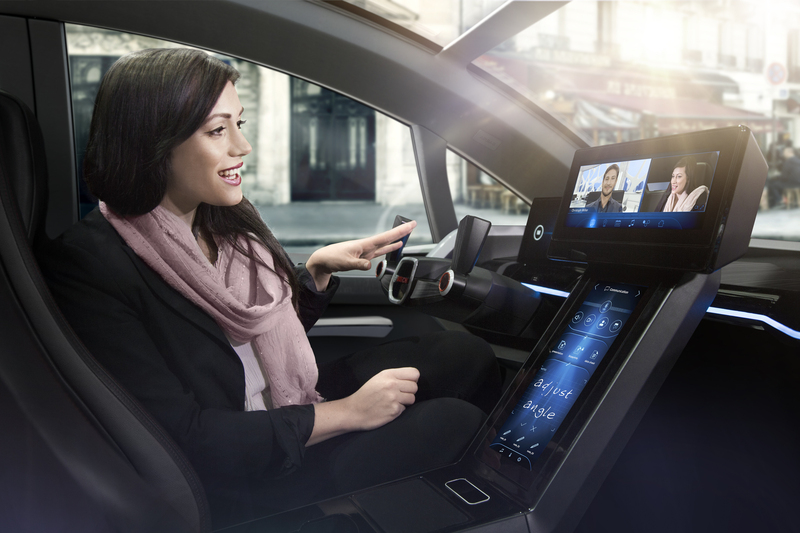 The human machine interface (HMI) turns cars into personal assistants on four wheels. This interface between people and vehicles provides drivers with important information when it is needed and is an attentive alert companion in every situation. In the future, thanks to more personalized communication, automated and connected functions will offer intuitive, comfortable, and safe operation, and drivers will be able to set them to meet their personal requirements – whether in a traffic jam, in urban traffic, or on a family outing. 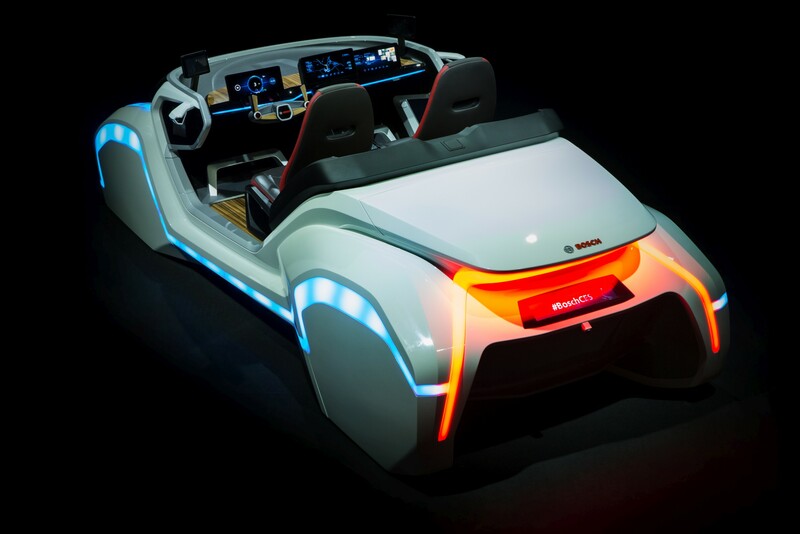 To this end, the show car presents gesture control with haptic feedback. It uses ultrasonic sensors that produce a noticeable resistance whenever the driver performs a gesture in precisely the area that the camera records. This makes gesture control even easier to use and less distracting for drivers, since they can change the information on the display, accept phone calls, or call up a new playlist without touching it. 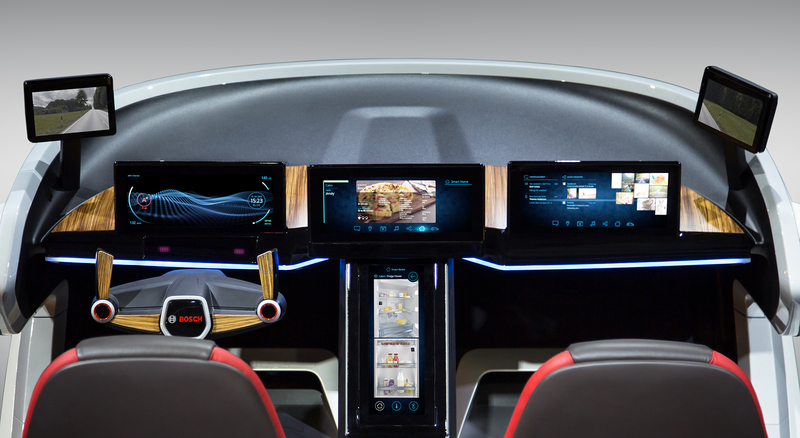 An innovative touch display in the show car also makes it safer and more convenient to use fingertip control. 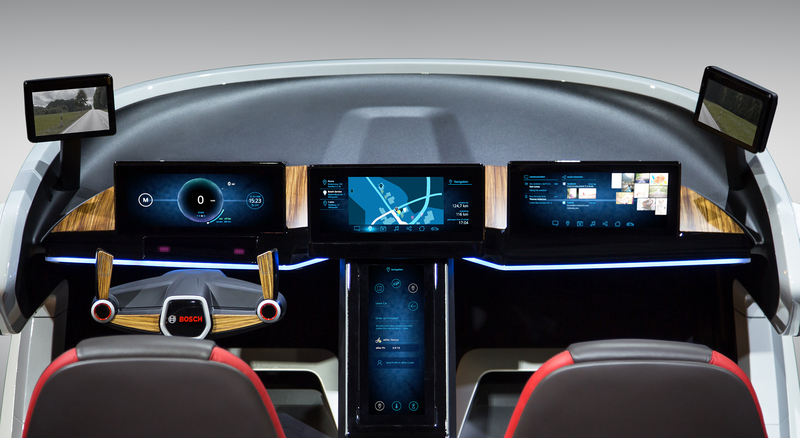 The display provides a haptic response by vibrating each time the driver’s fingertips touch it. This means drivers can sense different structures that feel like real buttons on what is in fact a flat surface. That way, they can easily find the desired function on the display, for instance to adjust the volume of the music, without looking away from the road. 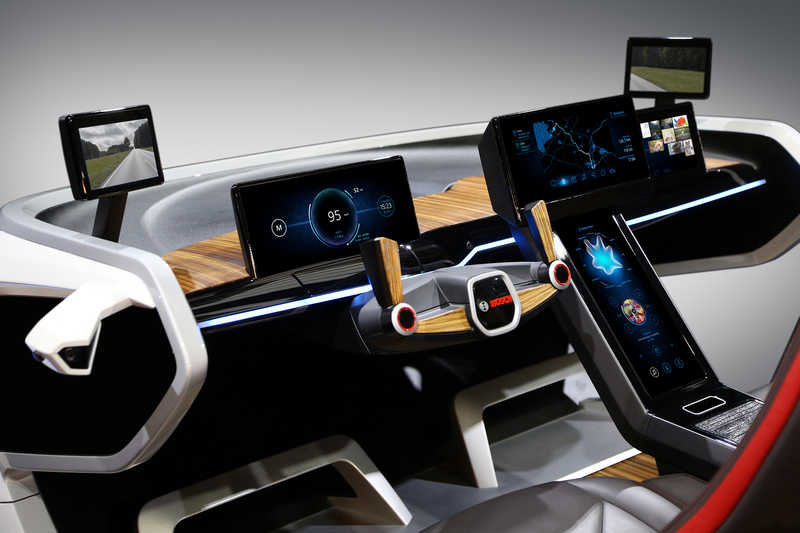 The show car also demonstrates how cars are turning into people’s third living space thanks to automation and connectivity. According to Bosch’s “Connected car effect 2025” study, automated driving could enable people who drive a lot to make better use of some 100 hours of their time each year. Once the car detects that automated driving is possible and the driver agrees to hand over control, the car takes over – safely and smoothly. Since the show car is an active part of the internet of things, drivers can carry their digital lives over into their car; perhaps sending e-mails to the office colleagues or video chatting with friends. All this is possible in the time automated driving saves. Flexible display concepts really come into their own here. Drivers can simply gesture to seamlessly switch like magic between various displays of e-mails, chats, videos, and automated and connected functions. What about planning your evening meal when on the road? Connectivity can help here, too – this time with the smart home. Mykie, the Bosch kitchen assistant, can suggest recipes online in the car. A glance from the car into the connected refrigerator will show whether the necessary ingredients are ready at home. Connectivity between cars and smart homes comes into play even before the journey starts: as soon as drivers enter the car, a display shows them the status of their own home. Has a window still been left open? Is the door locked? It takes just a gesture or a fingertip on the display to automatically lock the doors and monitor the status at home. Moreover, the connected car is also linked to the repair shop. It notifies drivers when an inspection is due, it schedules an appointment at the repair shop upon request, and it can ensure the necessary spare parts are in stock when it gets there. This level of comfort extends to parking: in Bosch’s community-based parking service, cars use the sensors in parking assistants to report available curbside spaces. This information is sent via the cloud to a digital parking map and provided to other vehicles.